cannot be corrected without replacing the rail. fractures or engine burn fractures. the surface of the rail. acetylene torch or other open flame. 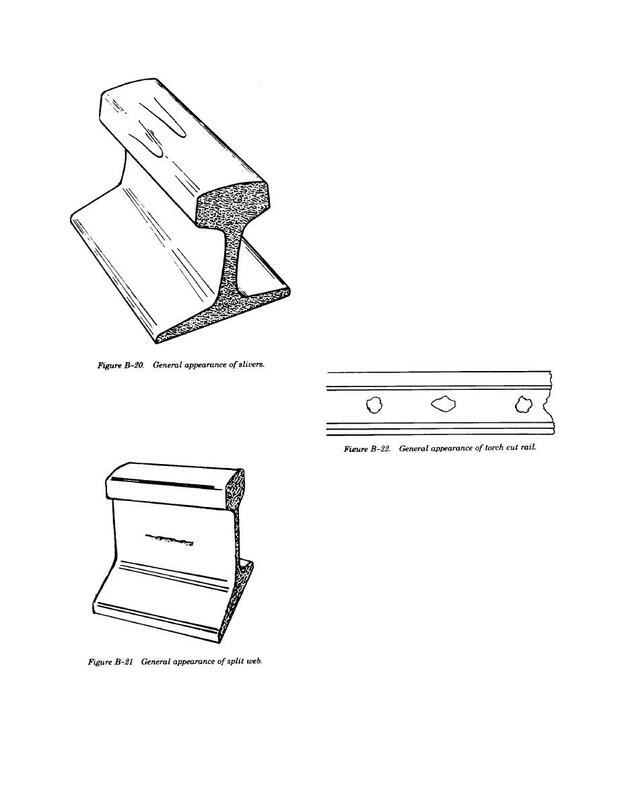 rail ends and/or bolt holes (fig B-22). vertical bleeding cracks in the web (fig B-21). (b) Bleeding at the crack.